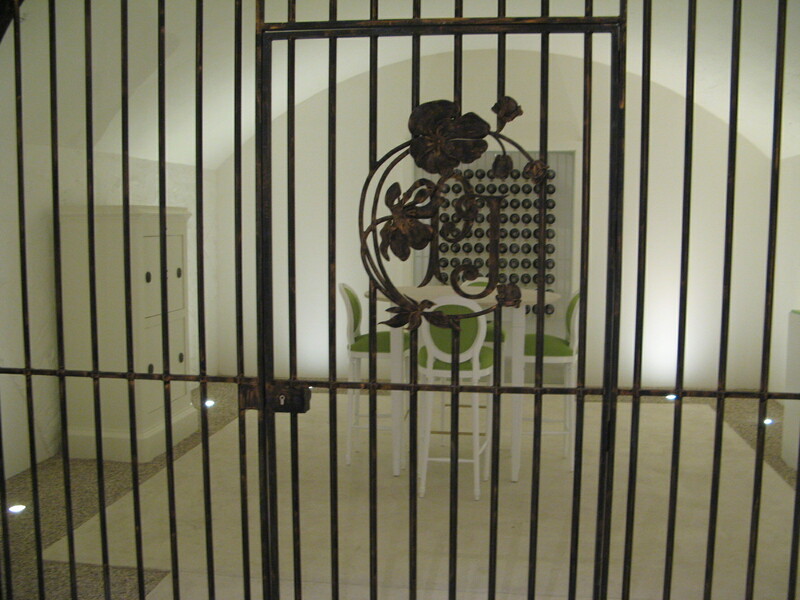 By the time we finished our meeting at Moet, we missed our scheduled meeting at Perrier Jouet (Chef de cave Herve Deschamp is busy till late afternoon), but don’t despair Yair Haidu has rescheduled the meeting for 5pm so we’re all sorted out, more or less. 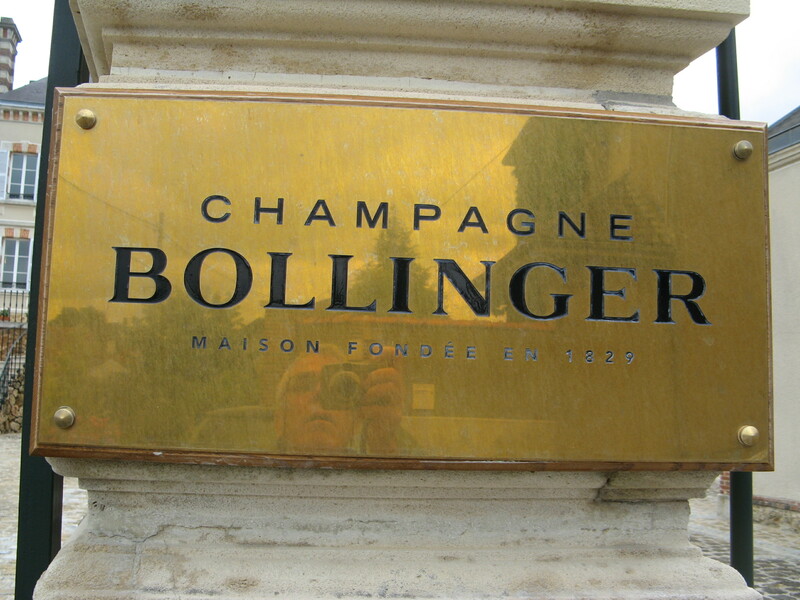 Now our next meeting is a good 2 Hours away in Aÿ at Champagne Deutz so he’s calling Bollinger to see if they have a regular “tourist tour” this afternoon… and… “Lo and behold” there’s one starting in 10 minutes time, so we rush over, through the narrow streets of Aÿ and park across the road from the gateway to one of my favorite champagne houses BOLLINGER. 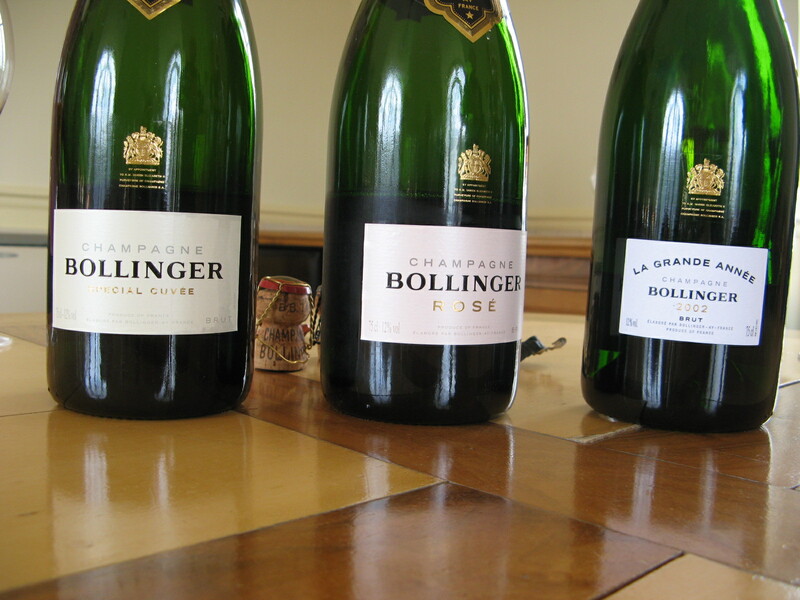 We’ve done the Blanc de Blancs, and here at “Boly” they proud themselves on the fact that Pinot Noir is the Base of the Bollinger Blends 60% in the Special Cuvée NV, and 65% in their Grand Année (vintage) champagnes. And they use for these blends for the NV 80% grapes from Premiers and Grands Crus and for the Vintage Champagne 100%! For all their wines they utilize only the “Cuvee” (the cuvée refers to the best grape juice from gentle pressing of the grapes. In Champagne, the cuvée is the first 2,050 liters of grape juice from 4,000 kg of grapes ), the remaining 500 liters called taille (tail), or pressed juice is sold to other champagne Houses… Impressive! But you knew all that right? The guide and the group of 3 from Australians and us are led to a small vineyard, a lot of less than half an acre vineyard “the only non phylloxera affected vineyard in the whole of champagne”, still blooming and looking healthy. 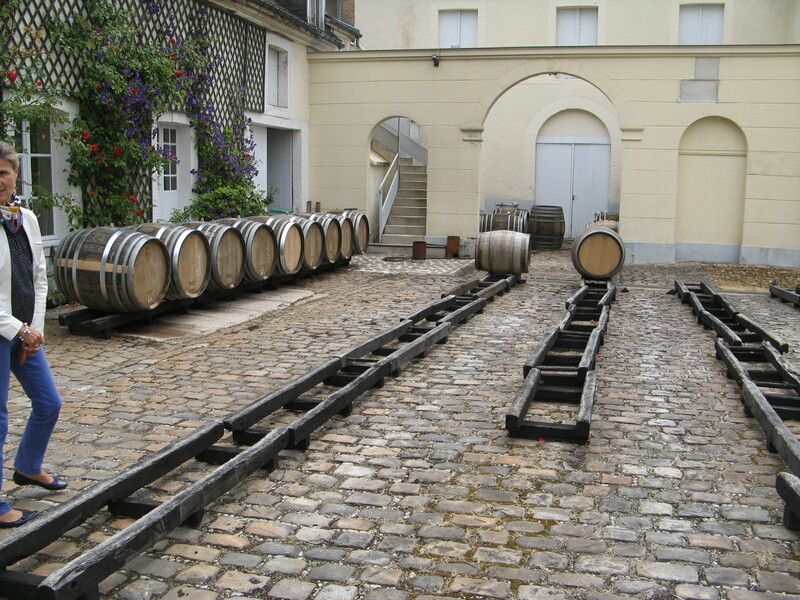 The winery tour starts at the Destemming and Crushing area and passes on, to the Oak barrels room, all Bollinger’s wines undergo first fermentation in Oak Barrels (a great pride) and so we are given the important “tour of the Barrels workshop”, where the in-house barrel maker makes new barrels, fixes old barrels and prepares used barrels by scraping off the crystal sediments that accumulate and cover the barrels yearly. This guy is quick, showing his expertise to the onlookers. 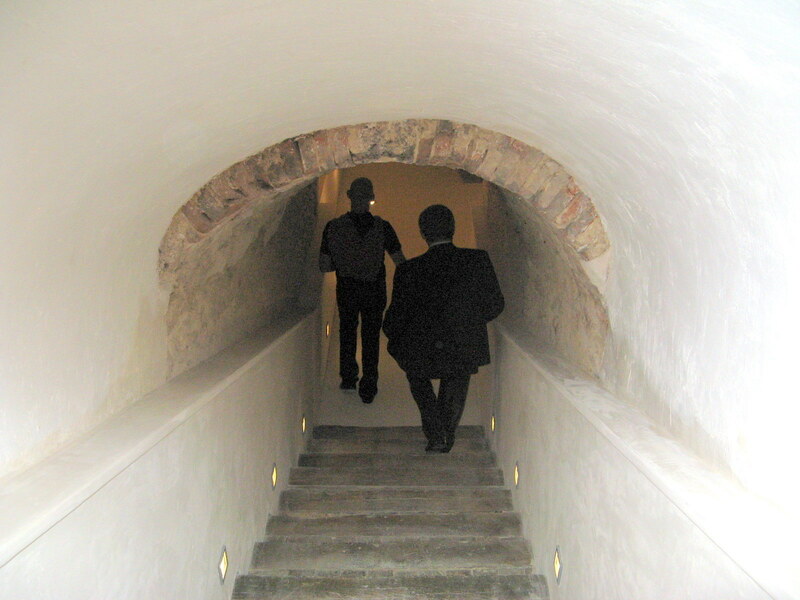 Now we go down the stairs to the cool cellars 8Km long!!!! 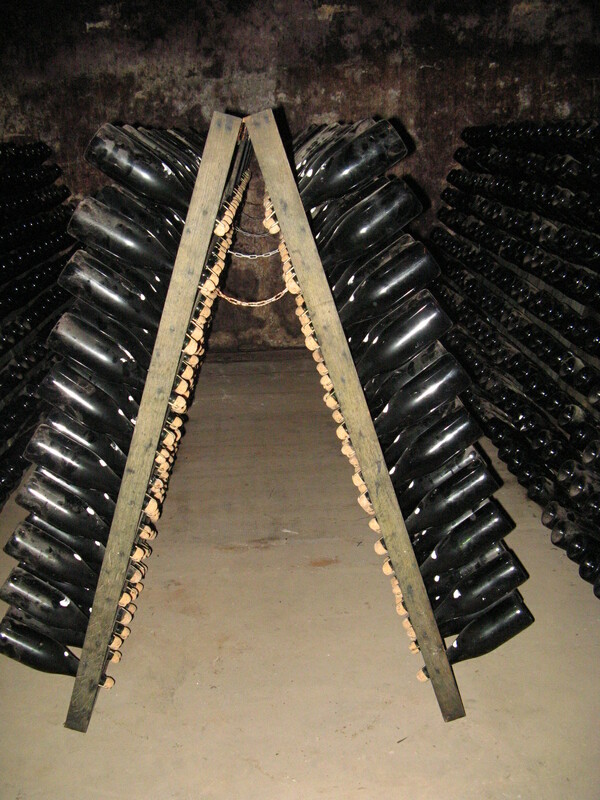 under the streets of Ay, (you enter in one place and come out somewhere else), with more than half a million Magnums and many more 75cl size bottles all resting in one position or another on their racks or pupitres. 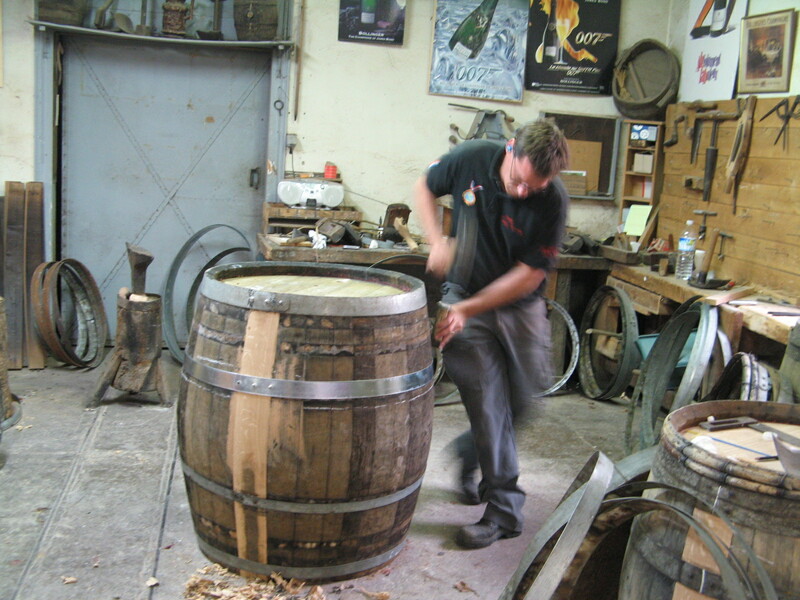 A pupitre is a wooden rack made of two hinged heavy boards. Each of the boards has 60 holes that are cut so that a bottle can rest, by the neck, in any position between horizontal and vertical. At first, the bottles lie horizontally, and gradually, through a process called remuage, they are hand “riddled.” This is an arduous process where each bottle is rotated and tilted very slightly each day so that the yeast loosen and finally accumulate into the neck of the bottle. R.D. 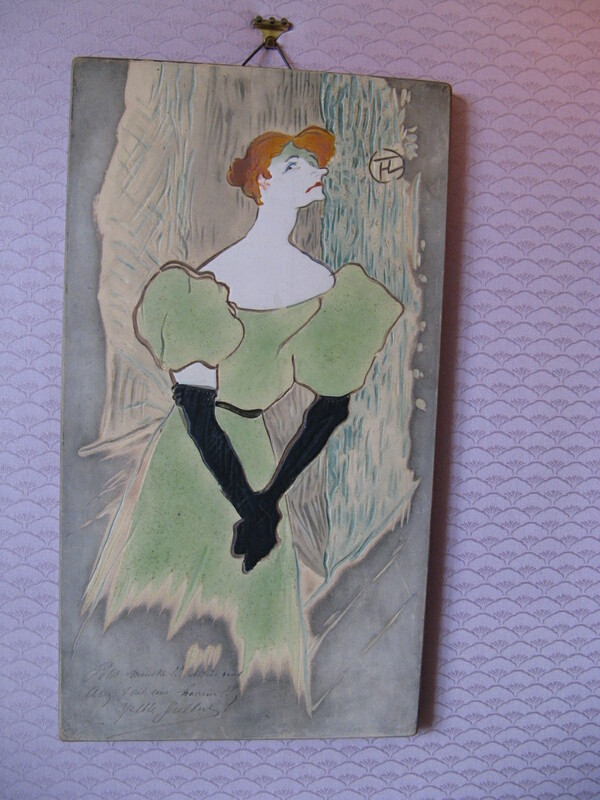 (vintage): récemment dégorgé (“recently disgorged”). This is the “Reserve” Grand Année blend. R.D. spends eight years on its lees, aged under cork R.D. The disgorgement date is given on the back label. 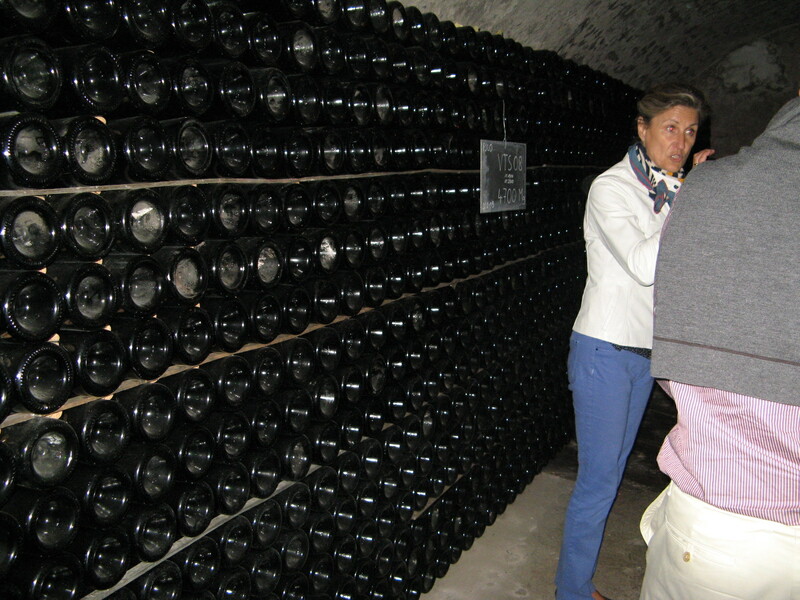 The different disgorgement dates are noticeable in aroma and flavor and touch between R.D. Champagnes of the same year. Only 19 vntages since Inauguration in 1952 (first RD) to date where made in the RD format (one of which is my birth year 1953 I wish I could lay my hands on one magnum for my 60th birthday next year). 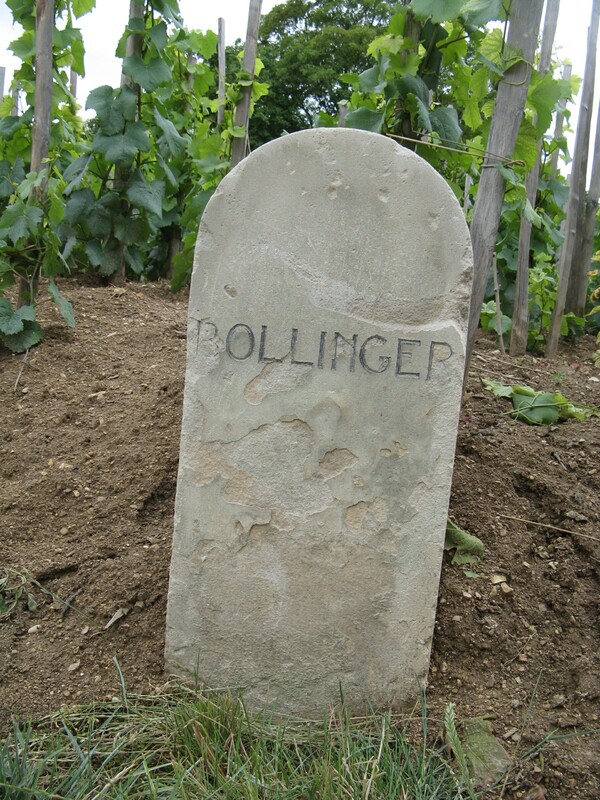 Vieille Vignes Françaises (vintage): Bollinger’s prestige cuvee, this blanc de noirs is made in small quantity with wine from two small plots of un grafted rootstock planted in low density (3000 vines per hectare). 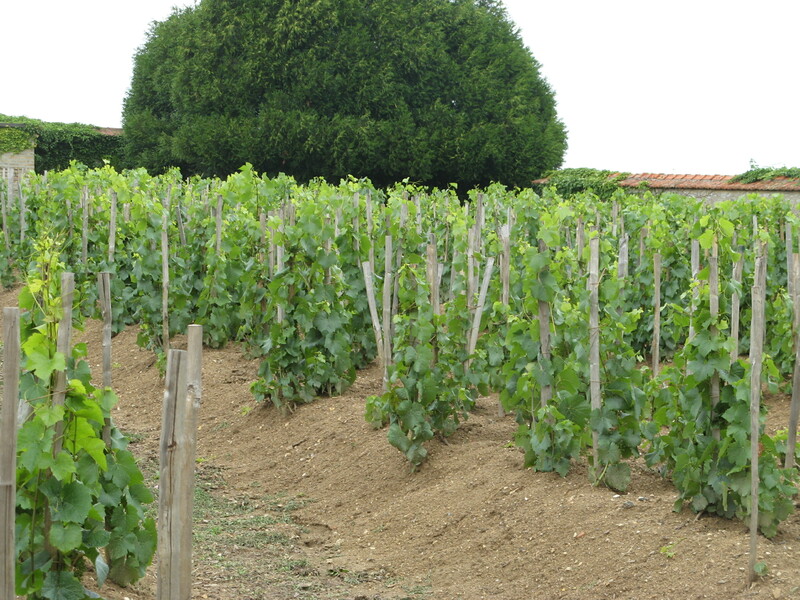 These two low-density and yield vineyards, Clos St-Jacques in Aÿ and Chaudes Terres in Aÿ, are severely pruned, and thus produce 35% less juice per vine. Special Cuvée Brut and Special Cuvée Rose wonderful wines on all counts! 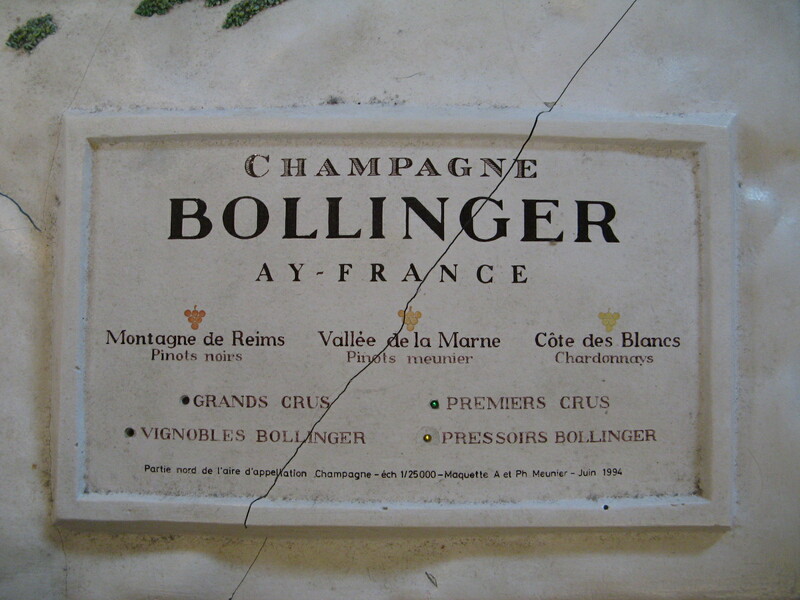 Bollinger Grand Année 2002 even on its 9th year it is still a youngling very fresh and fruity mainly citrus; with strong grapefruit notes and a faint touch of white tropical fruits. Great balanced acidity and fruitiness. This is a keeper for quite a few years, so… WAIT! The Best Bollinger I had lately was without a doubt the 1995 Grand Année, The complexity and depth was tremendous, smooth with aromas of ripe white fruits and bursting fig aroma roasted hazelnuts and toasted butter cinnamon brioche with hints of vanilla, a smooth gentle touch on the palate with exceedingly long finish on palate and nose Excellent!!! 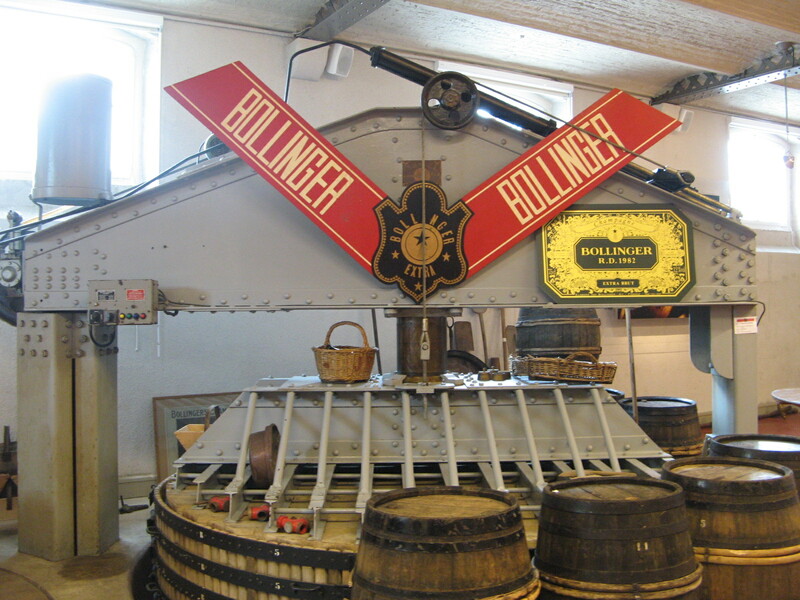 We left with a DVD disc of the Various James Bonds ordering Bollinger RD 1961….. My name is B O N D, James Bond! we pass the Courtyard Statue of Cupid, the Roman god of desire, love and affection He is often portrayed as the son of the goddess Venus, His Greek counterpart is Eros. 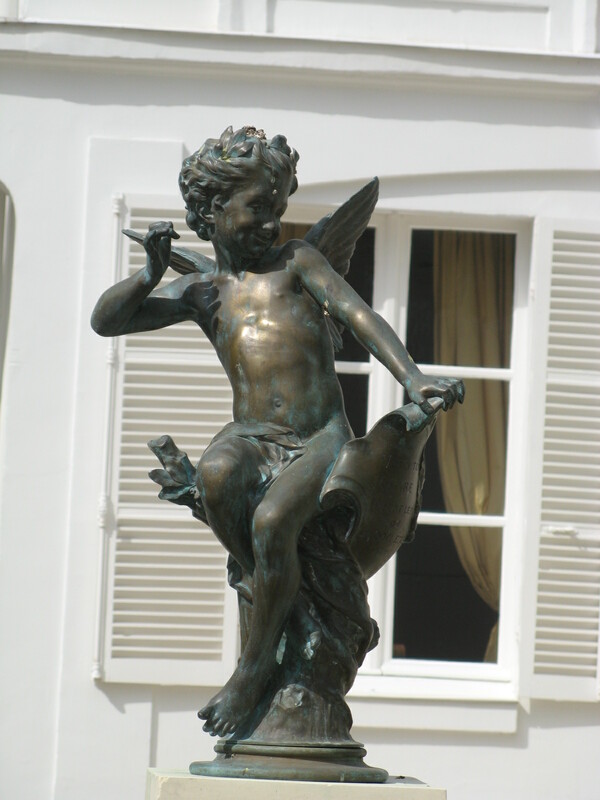 Cupid is also known in Latin as Amor (“Love”). Undoubtedly the spirit of Amour De Deutz. We are, in yet another small and gracious looking estate built in the traditional Champagne style, we sit for a casual wine chat with our host in the drawing room the furniture and surroundings are all original pieces with a very homey feel. We move to the tasting room facing the gardens and champagne glasses are laid down on the glass top modern dining table. 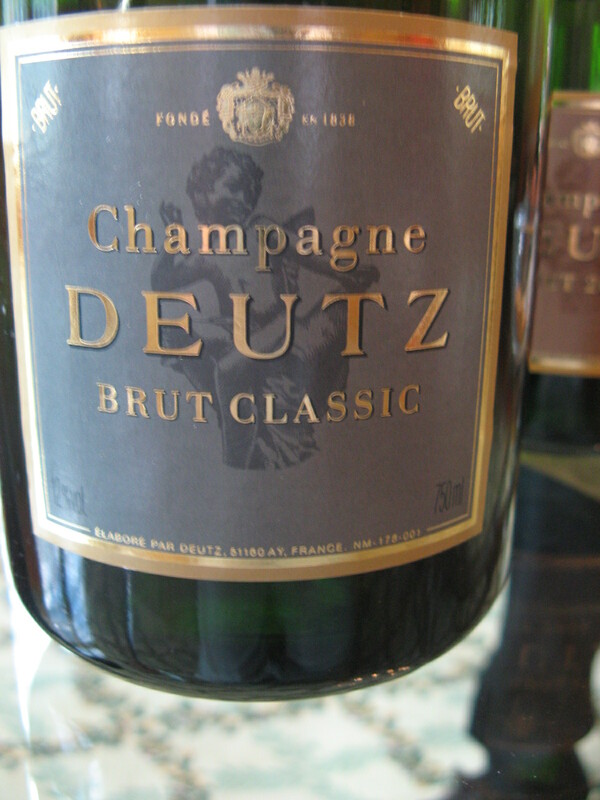 Deutz Brut Classic: This is a lovers champagne charming accessible and well balanced for a couple who are about to get acquainted. 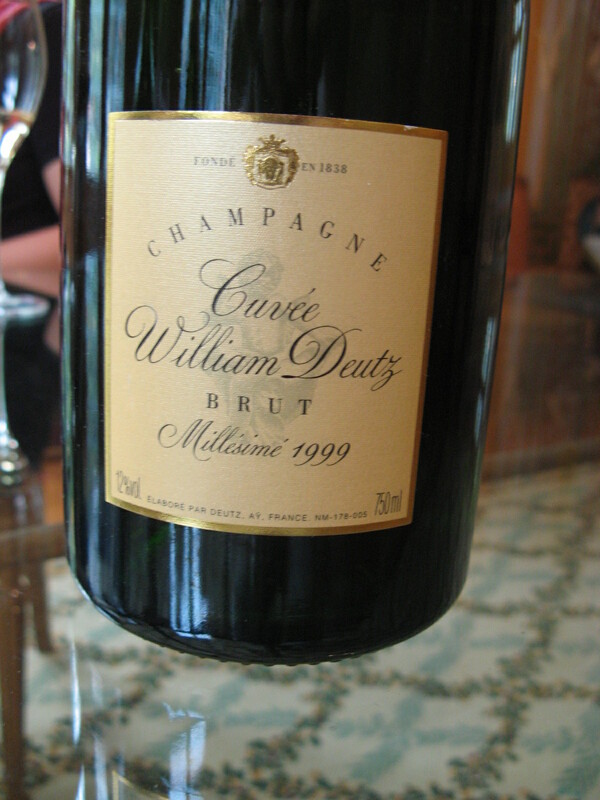 The classic is affordable champagne that has all the element of style and elegance, but make no mistake this is not the “Amour de Deutz” Millésimé Deutz Brut, The more sophisticated multilayered yet fresh and lively champagne suitable for the private engagement party and a pure Blanc de Blancs Champagne. 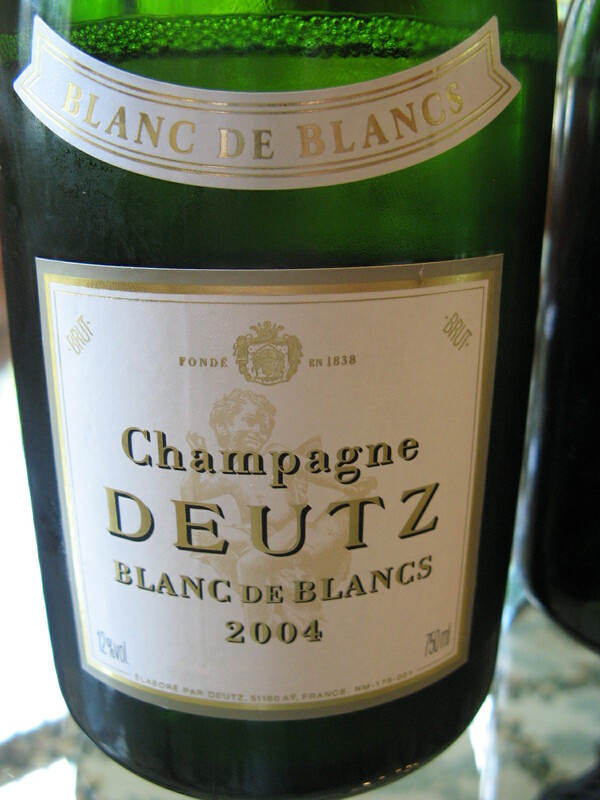 Deutz Blanc de Blanc 2004, The 2004 Brut Blanc de Blancs is full of exotic tropical fruit flavours, very rich and elegant mufti-layered Champagne complexity, and a very sharp clean finish. 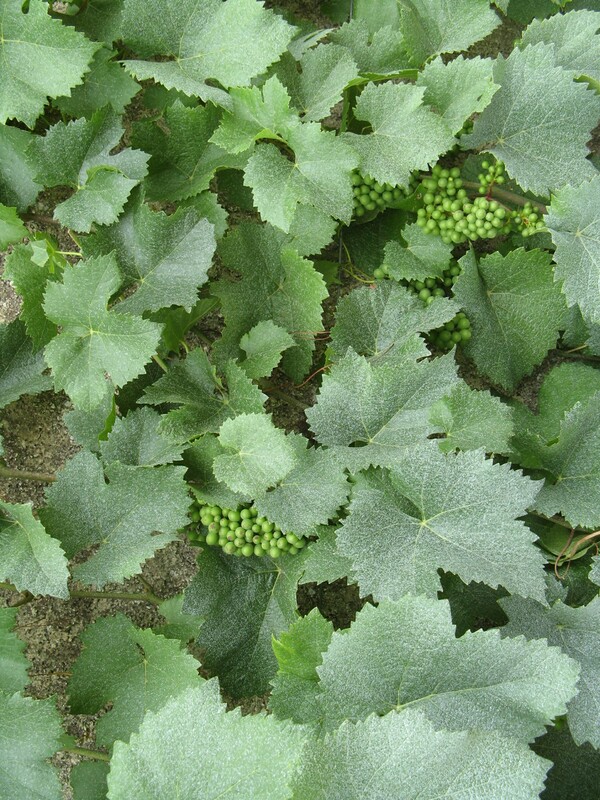 The Deutz Blanc de Blancs is made principally from vineyards in Avize and Mesnil, with 20% coming from vineyards in Villers Marmery, Oger, and Cramant .disgorged July, 2008. The wine is a crystal clear champagne with lovely small bubbles and a pale lemony golden hue. The nose is fully opened with rich aromas of ripe apples baked in butter, and some hints sweet spices of anis and nutmeg. It has a rich fully ripped, spiced long finish. 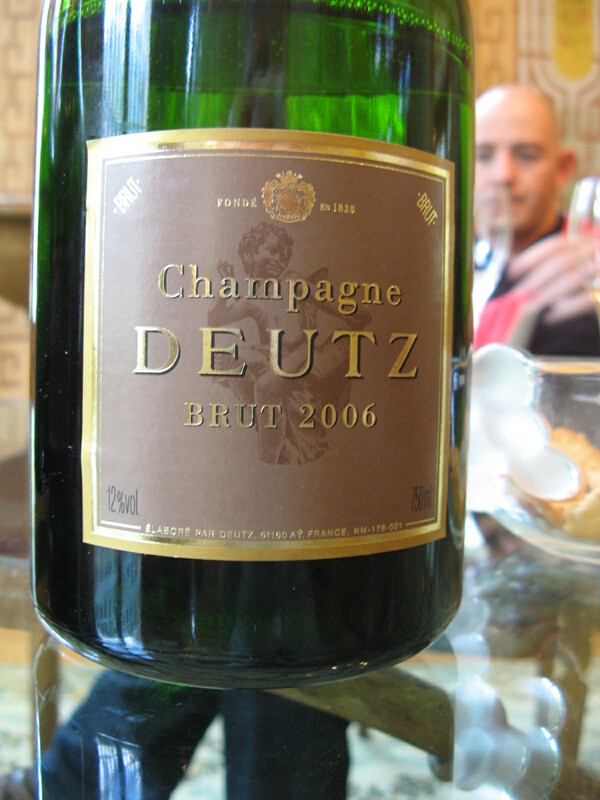 Deutz, formerly known as Deutz Geldermann, based in the Aÿ region of Champagne since 1838. It was run by successive generations of the Deutz and Geldermann families. Today, under the leadership of Fabrice Rosset, the passion for terroir and tradition is at the fore front of the production attitude, the 3 F’s : Finesse, Freshness & Fine. I could have stayed in the lovely garden sipping away the Cuvee William but “duty calls” we still have our last visit of the afternoon (in Epernay) before parting Champagne and back to “Old Paris”. 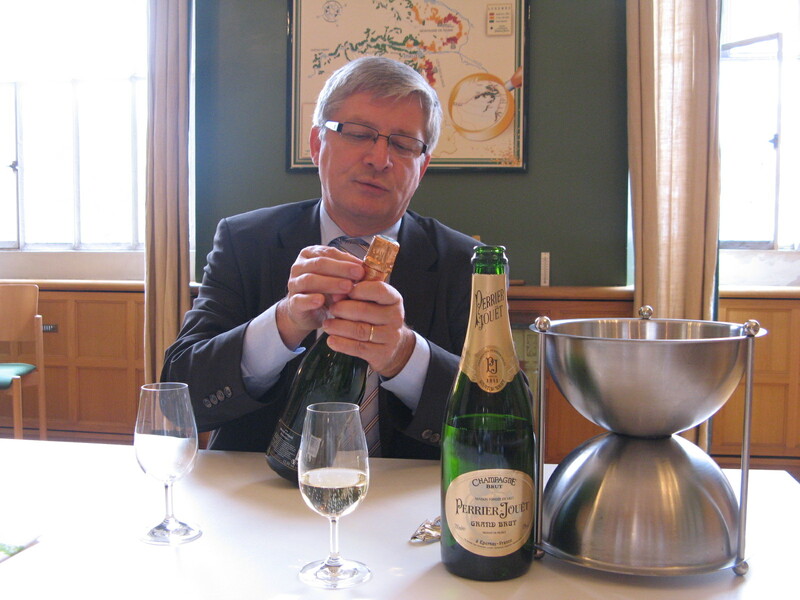 This one is at Perrier Jouet with chef de cave Herve Deschamphas. 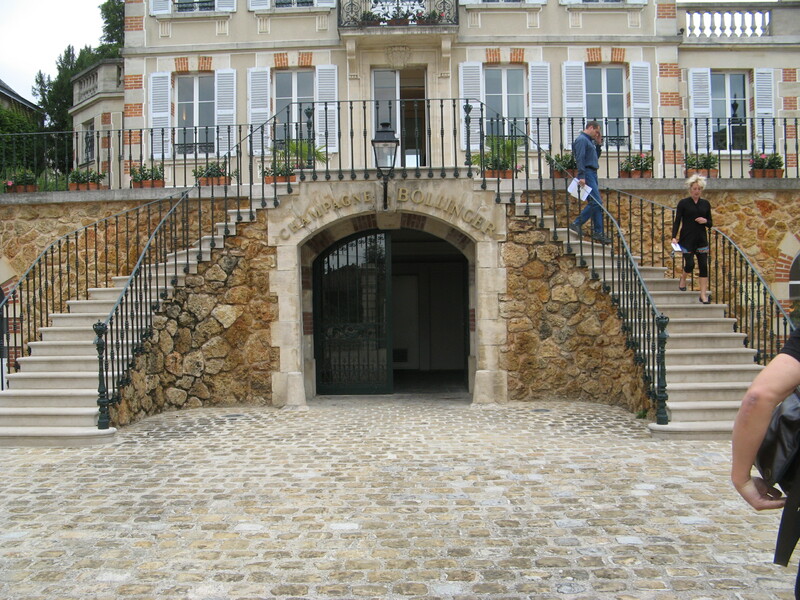 First the House’s jewel in the crown La Maison Belle E’poque at the historic house of the Perrier family at 11 Ave. de Champagne. 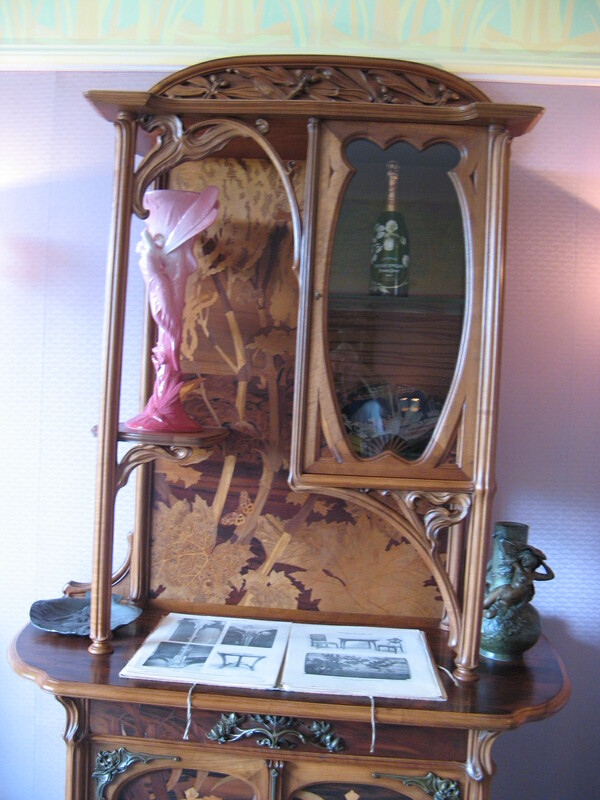 This a most amazing living collection of Art Nouveau pieces of furniture, architectural pieces, objects d’art, paintings all from the era known today as La Belle Époque “The Beautiful Era”. This was a period in French history starting in 1890 and ending as the first World War began in 1914. It was a war free period of optimism, a time for scientific inventions and discoveries: Louis Pasteur developed the Pasteurization (or pasteurization)process, antibiotics and the rabies vaccine. Mathematician and physicist Henri Poincaré made important contributions to pure and applied mathematics. Marie Skłodowska-Curie Her study of radioactivity, led to discovery of polonium and radium, winning the Nobel Prize Twice!! for Physics in 1903, and the Nobel Prize for Chemistry in 1911. New technologies such as the invention of the motion picture (Film), The Lumière Brothers held their first private screening of projected motion pictures in 1895. Peace and prosperity in Paris allowed the arts to flourish, and many masterpieces of literature, music, theater, and visual art gained recognition. 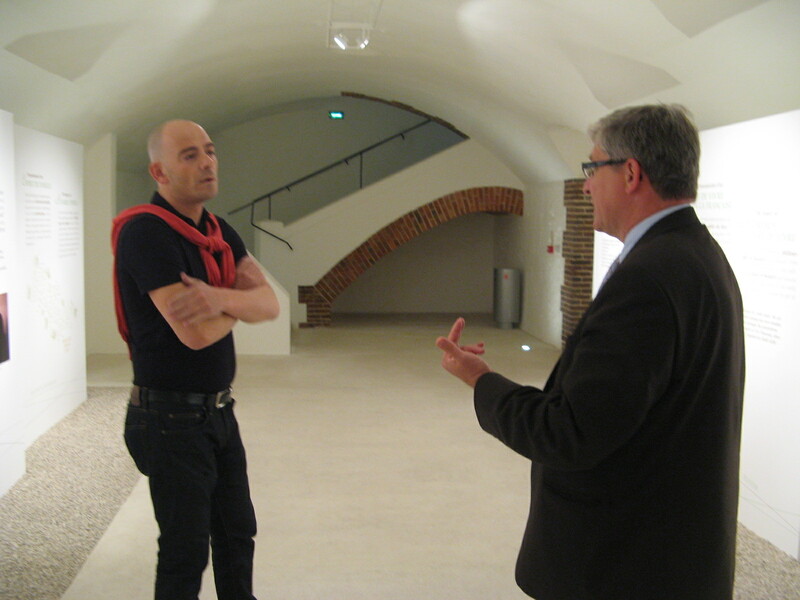 We are honored with a guided visit of the House of Belle Époque with Herve Deschamphas who will be with us throughout the whole tour and of course the tasting. 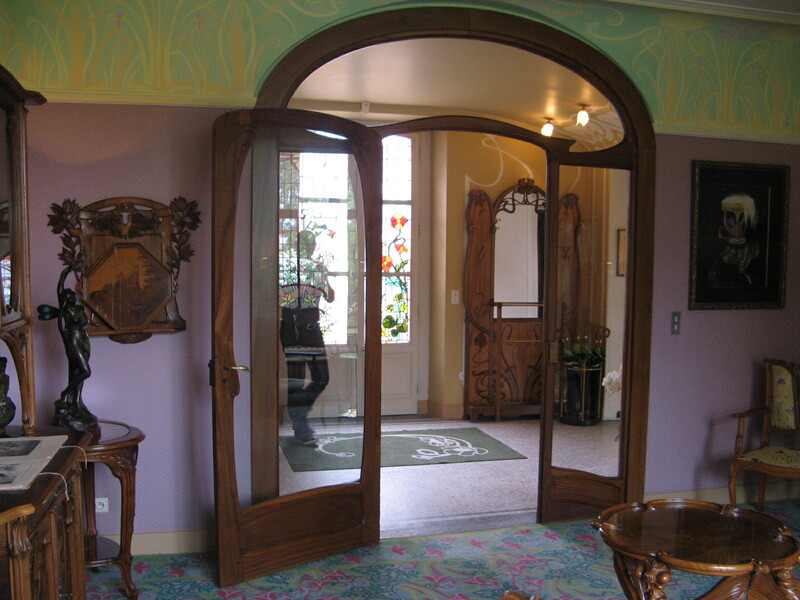 This is almost unreal, the gateway and the splendid doorframe, the furniture, the decorations, the art on the walls (some Henri De Toulouse-Lautrec and others all originals and of best quality) even the double bed, the basin, faucets and the Loo all original Art Nouveau from the best artists of their trade! Inspiring and heartwarming (The house special guests from around the world get to stay the night there, it has its own kitchen and chef!). What a delight!!! 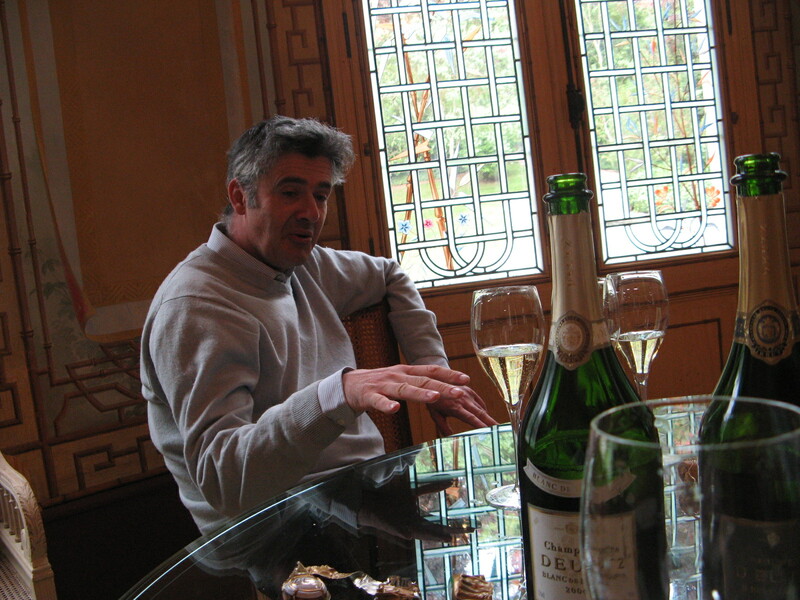 first he opened the Perrier Jouet Grand Brut NV. This is a Fresh champagne with some delicate bouquet of ripe white fruits like white peach with a touch of Smoky Oak and spiced melted butter biscuits. It contains all the elements to make it alluring to all the participants in for instance a public function or a party. 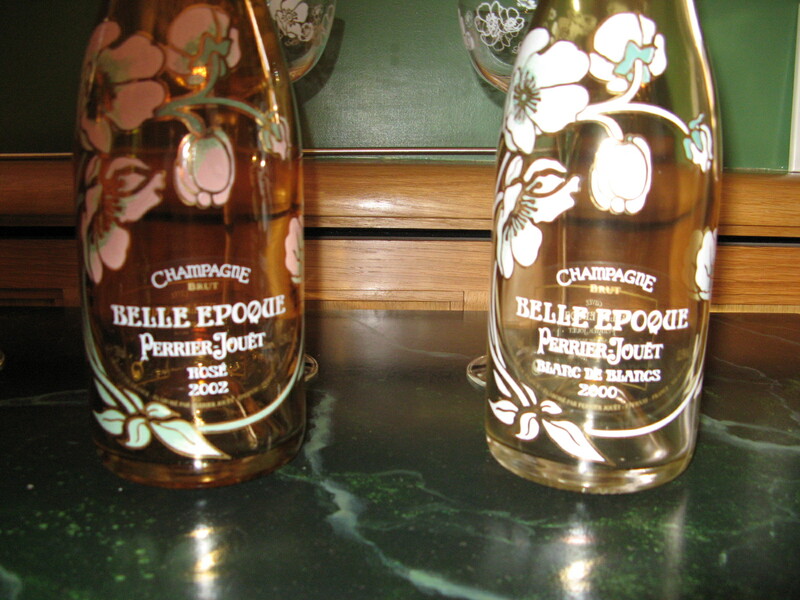 Belle époque 2004: (50 % Chardonnay, 45% Pinot Noir and 5 % Pinot Meunier. A very elegant wine that hits you with strong aromas of wild flowers in the spring, quit reminiscent of the bottle’s artwork, (designed by Emile Gallé in 1902). On the palate, ripe tropical fruits: Annona and pineapple flavors very open and spiced. Still fresh and elegant with a nice touch of minerality that extends the length. Belle époque Rose 2002 The orangey pinkish color radiates through the translucent bottle in sensual colours (the usual Belle époque blend the Rosé is made by adding red wine rather than the saignée method). 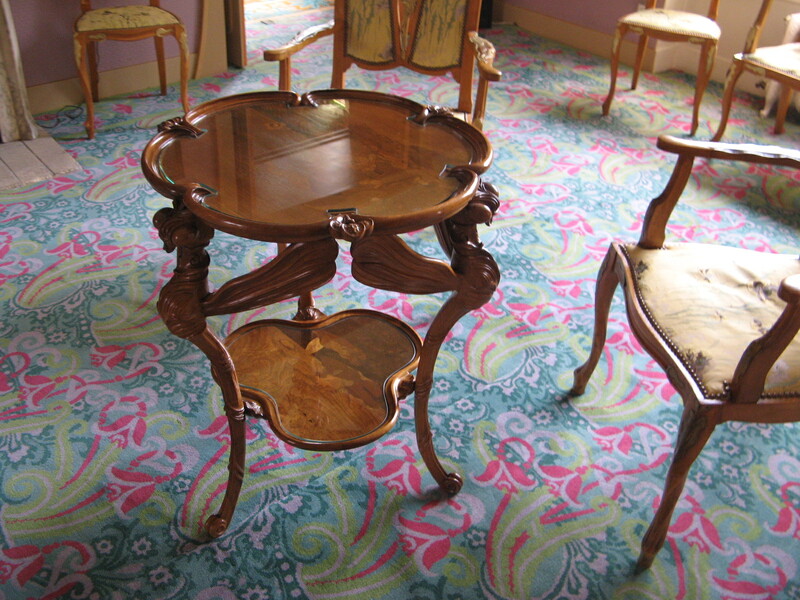 It is all about finesse and delicacy without the show off of concentration or strength, very good balance. Belle époque Blanc de Blancs 2000 : The most prestigious of the Perrier-Jouët Belle époque series. A show off of the house terroir coming exclusively from Cramant and just from two parcels, Bourons-Leroy and Bourons du Midi, at the heart of the Cramant Grand Cru in the Côte des Blancs. Responsible for this 100% Chardonnay wine grown on pure chalk soil, on the south, south-east slopes. Again we are introduced to the floral aroma touch a characteristic sign, this wine, of more fragrant flowers like honeysuckle freesia and acacia, and very sweet spices like vanilla scented toffee delicate and easily approachable. Telephone: +33 (0) 3 26 53 38 00. www.perrier-jouet. 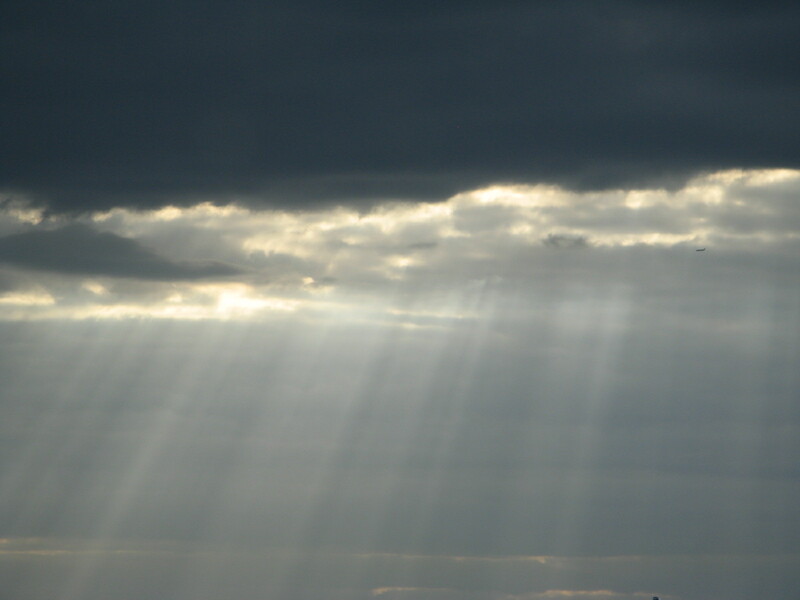 As the days grow longer, towards the year’s longest day on June 21st , we started on our way back to Paris the clouds started to gather again, but the sun rays pierced through the clouds in an heavenly manner, to end up 2 glorious days in champagne . Thanks Yair for arranging this unforgettable tour.